Calvin Hubbard, Senior Pastor at Barksdale Baptist Church in Bossier City, LA, recently hosted a SFL Revival. The following post is his experience. Earlier this year, Bro. Michael visited me about helping our church in the area of financial discipleship. He shared information about Compass1’s Navigating Your Finances God’s Way small group study and the Solutions For Life Revival developed several years ago. 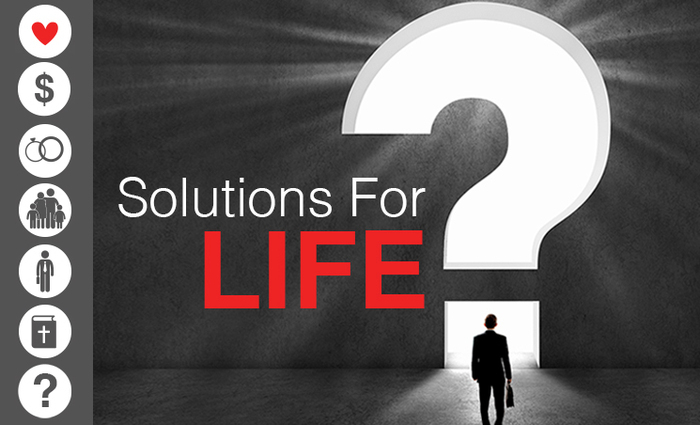 Before he left, we penciled in a date for a Solutions For Life Revival. In the months between, Bro. Michael stayed in contact and answered my questions. He sought thematic input, but never asked for any specifics. We prayed together. If we did not have clarity for a particular night’s theme, we would pray and seek the Lord’s direction. He had not decided on the Saturday evening message just a couple of weeks before starting the revival. I sensed a particular theme developing and I asked him to consider preaching the message – “Share Your Story.” He agreed and church member feedback after the revival confirmed this was the right choice. The Lord led Bro. Michael to prepare and present the messages Barksdale Baptist Church needed. He clearly, confidently, and courageously presented the Scriptures. Following the revival, private conversations and public share time confirmed the Lord worked in many people’s lives. Bro. Michael’s message on generous giving is the best I’ve heard. He holds tithing and generous giving in biblical balance. It is, in my opinion, a model for presenting biblical truth on this sensitive and needed topic. 43 individuals and/or families made a public response through the “My Choice” cards provided as part of the revival. Over 75% said they would continue to tithe; 10% said they would begin to tithe, and about 40% said they would become a generous or cheerful giver. As for me and my wife, we are adding more giving to our current level. It’s not a large amount, but it is more than what we were giving. Prayerfully consider having or attending a ‘Solutions for Life’ Revival. Giving $5 more or 5% more can change someone’s life, including yours.